If you’re looking for hand-crafted professional sounds for your next release this product is for you. 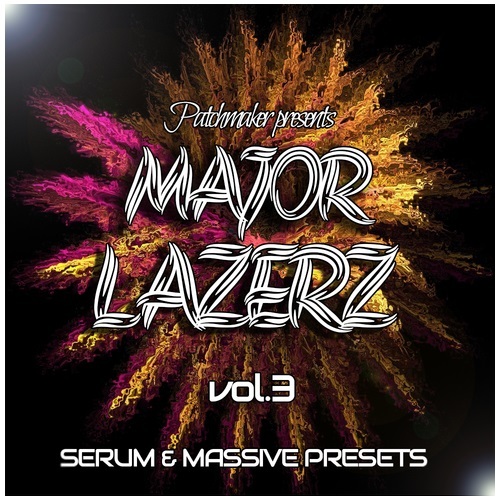 Patchmaker is proud to present volume 3 of "Major Lazerz" sample collection! This set is inspired by artists like Major Lazer,Dj Snake,Jack U, and many others! Suitable for genre like House,Hip-Hop,Trap,Dubstep and a lot more! Every preset has all macros (4 macros for Serum and 8 macros for Massive ), so you will be able to switch them at your own preference.